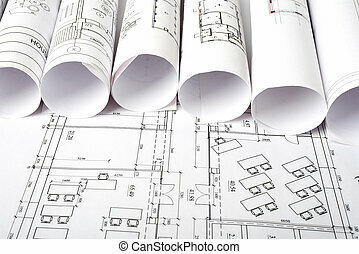 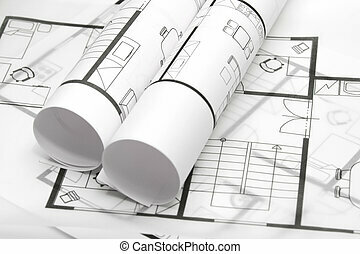 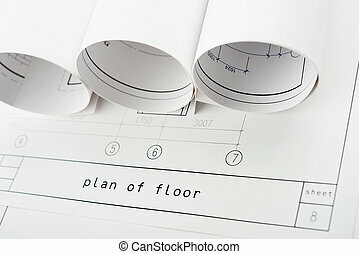 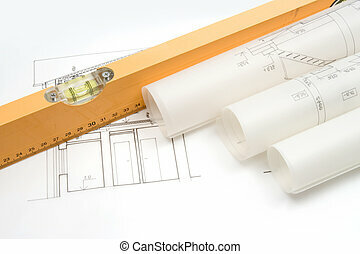 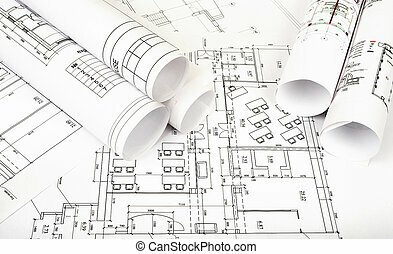 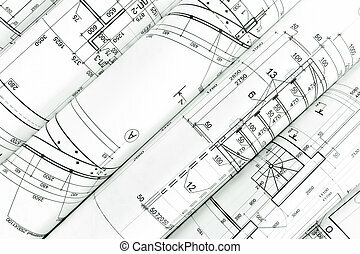 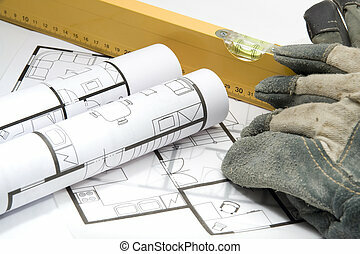 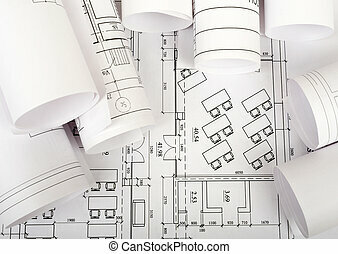 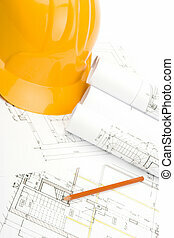 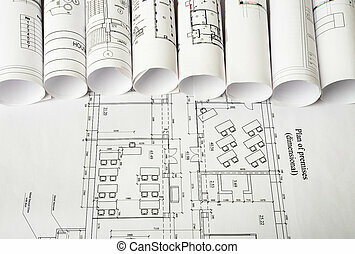 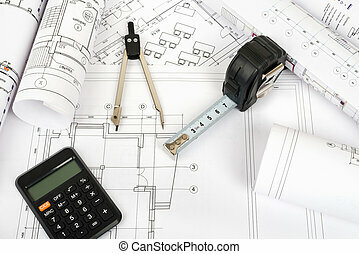 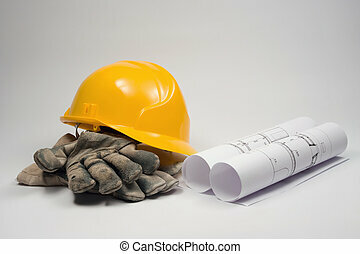 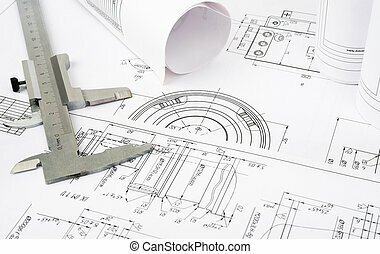 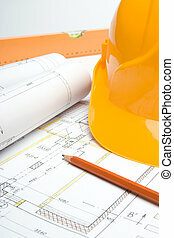 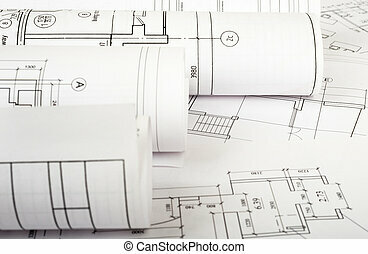 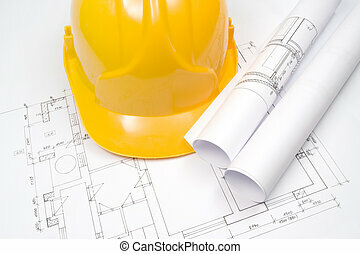 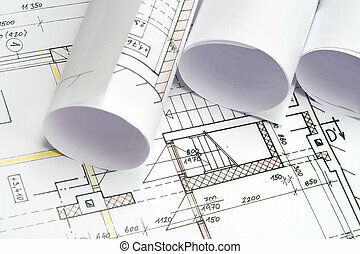 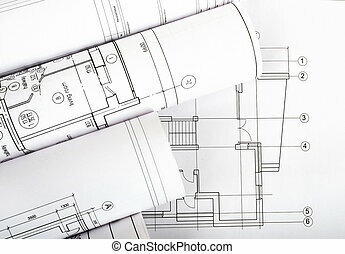 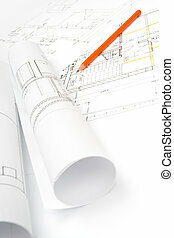 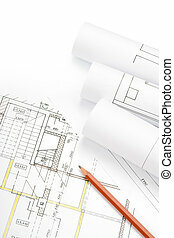 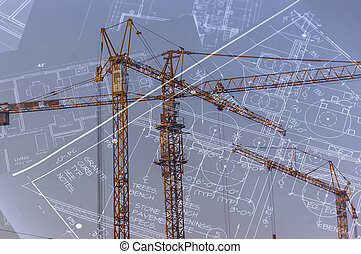 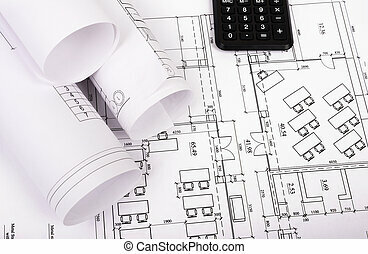 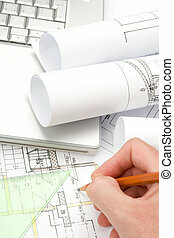 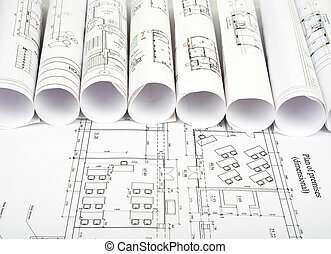 Blueprints of architecture. 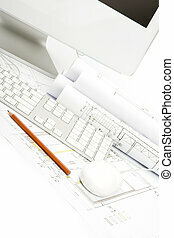 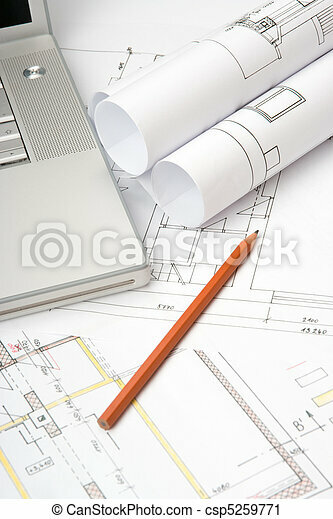 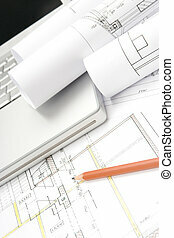 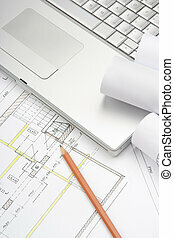 Architect workplace - blueprints of architecture, pencil and laptop. 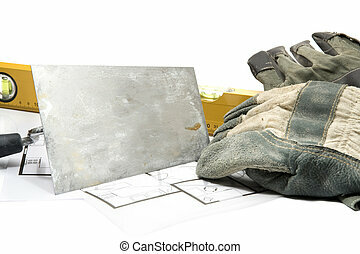 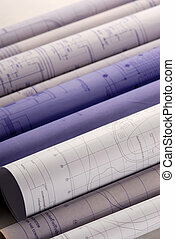 Several Rolls of Blueprints . 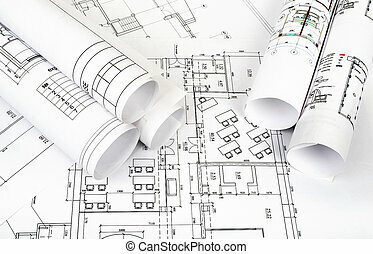 Architecture concept.